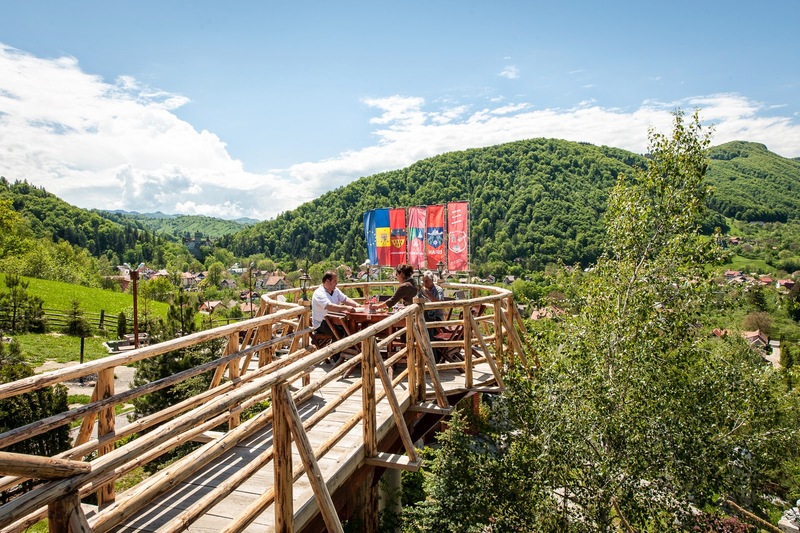 Our guide, Cecilia Andrei, and driver, Kostel, picked us up at our hotel and we were off for a four-day whirlwind tour of Transylvania. 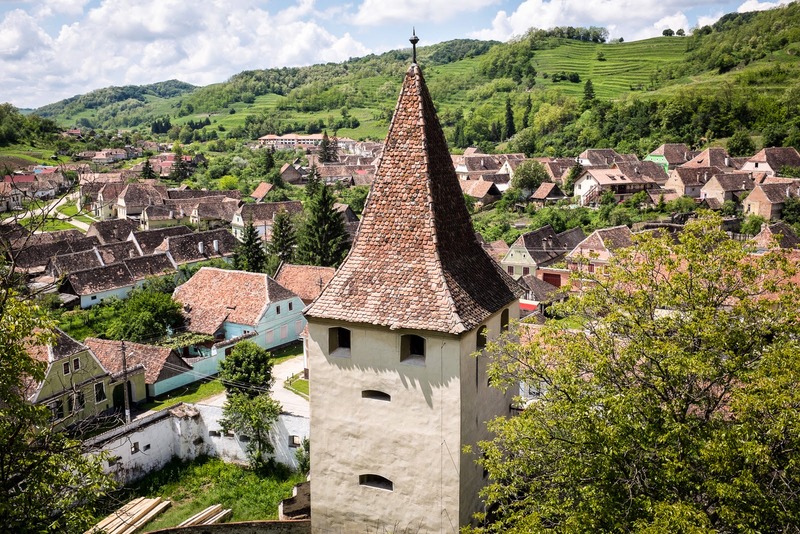 My knowledge of Transylvania was little and limited to Dracula. We didn't see much of Dracula on our journey except for the occasional tourist kitsch. 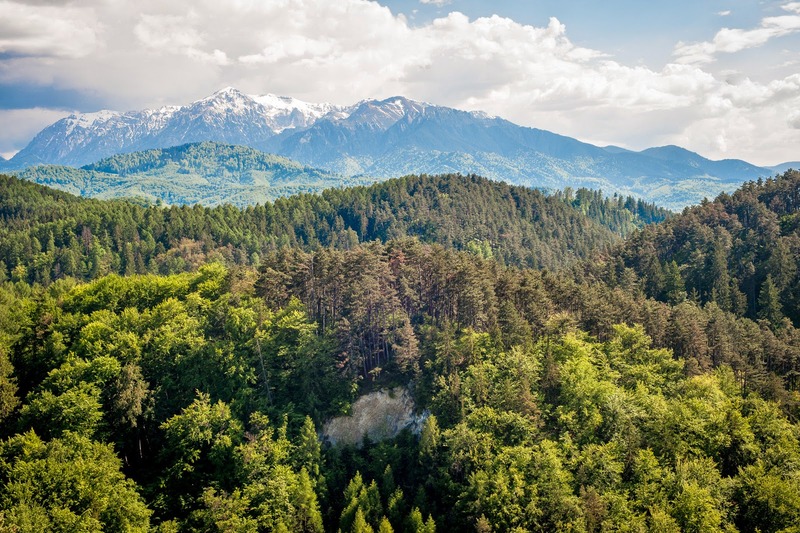 Transylvania, which means "beyond the woods," is gloriously green right now. 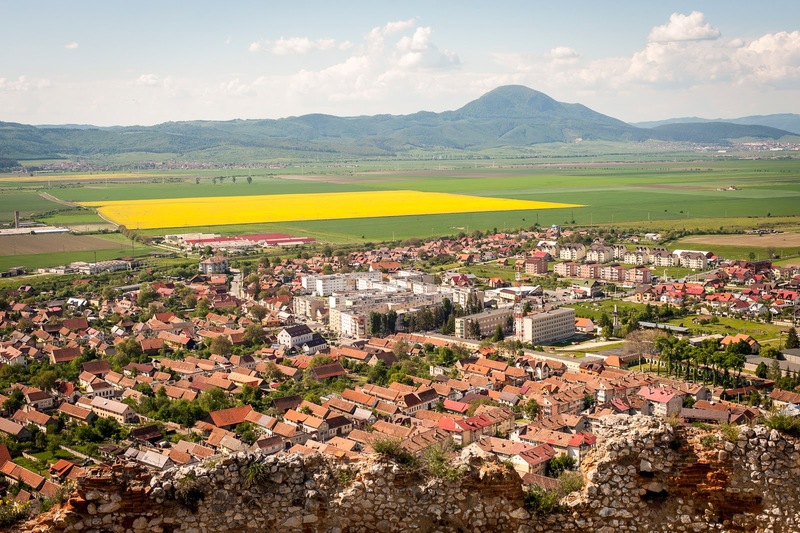 Cecilia said Romanians call it "May Green; I have rarely seen a landscape so lovely. We saw Peleş Castle owned by the last king of Romania but now operated by the Romanian Government as a National Museum. 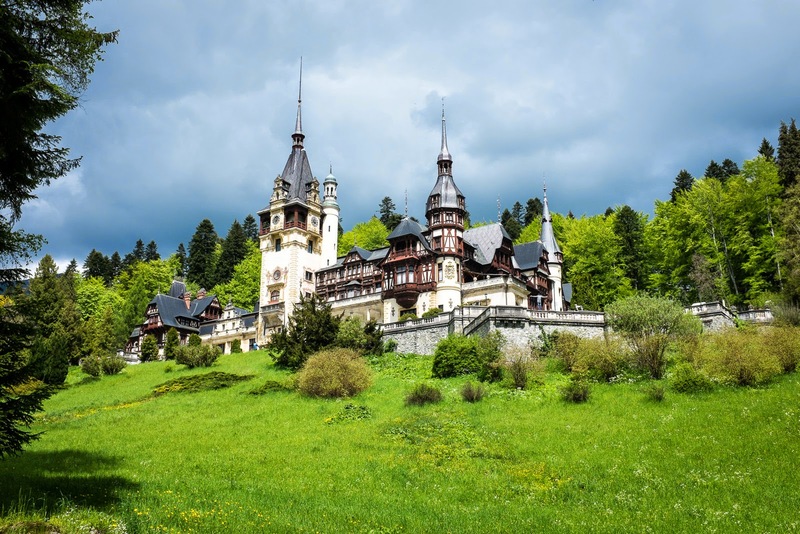 The castle was built in the Carpathian Mountains for King Carol I of Romania (of German descent) starting in 1873 and continuing for about 30 years. All the rooms are decorated in a beautifully sumptuous style. 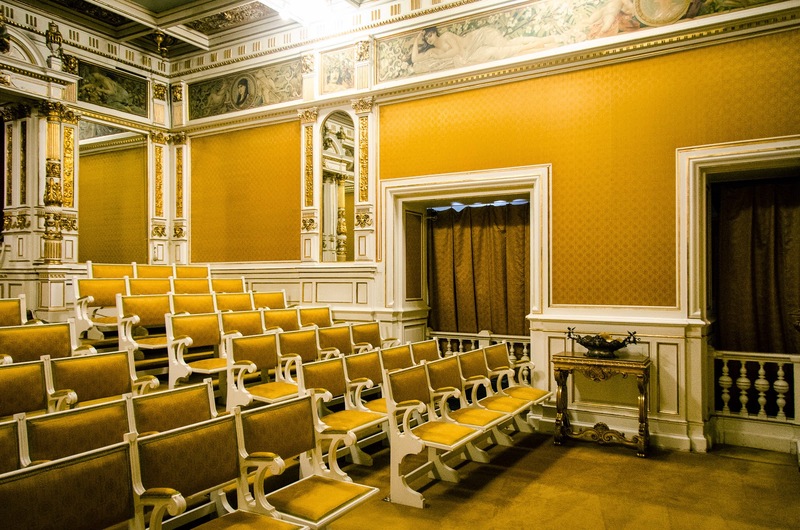 The theater room has Gustav Klimt paintings bordering the top of the walls. 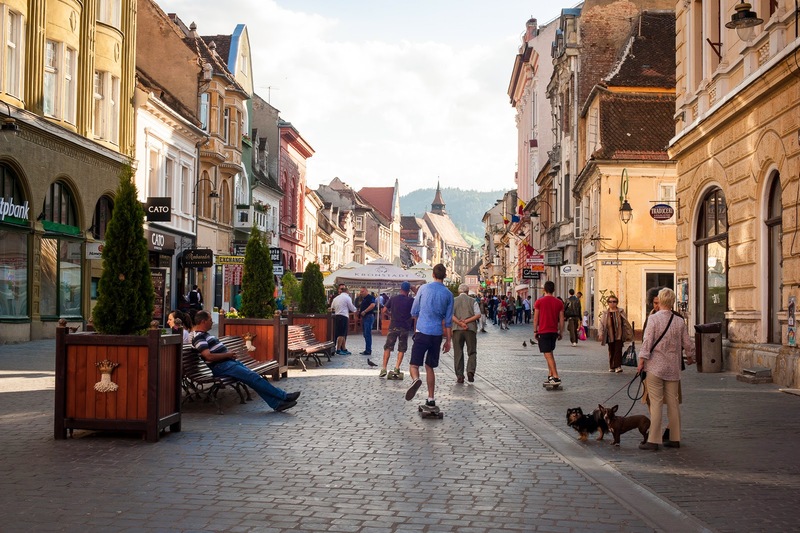 Our first night was spent in Sighișoara a Saxon-built, fortified medieval town from the 13th century. We stayed at Fronius Residence built in the 1600s and one of the few homes within the walls that survived the devastating fire of 1676. 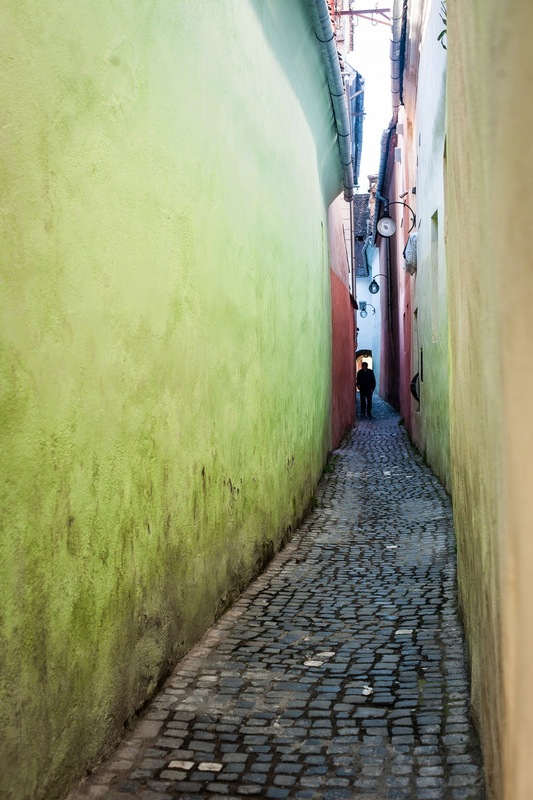 The town within the walls is charming with colorfully painted rows of houses along the cobbled streets. Towers along the city walls were built by different trades. 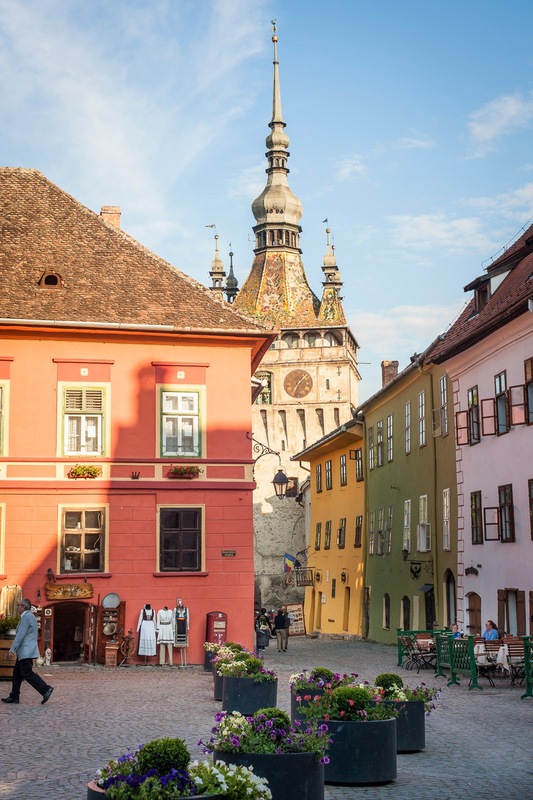 Sighișoara, a UNESCO World Heritage Site, is one of the few inhabited citidels remaining in Eastern Europe. 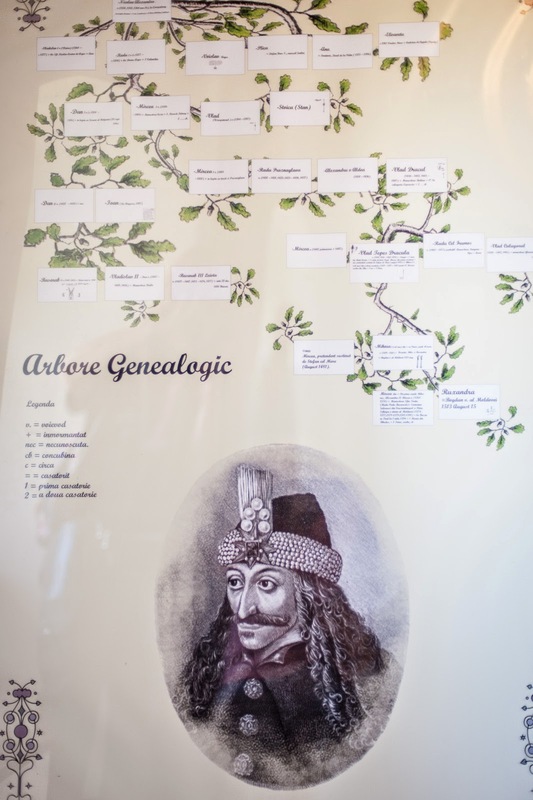 Another claim to fame is that Sighișoara is the possible birthplace of Vlad the Impaler (known fictionally as Dracula). 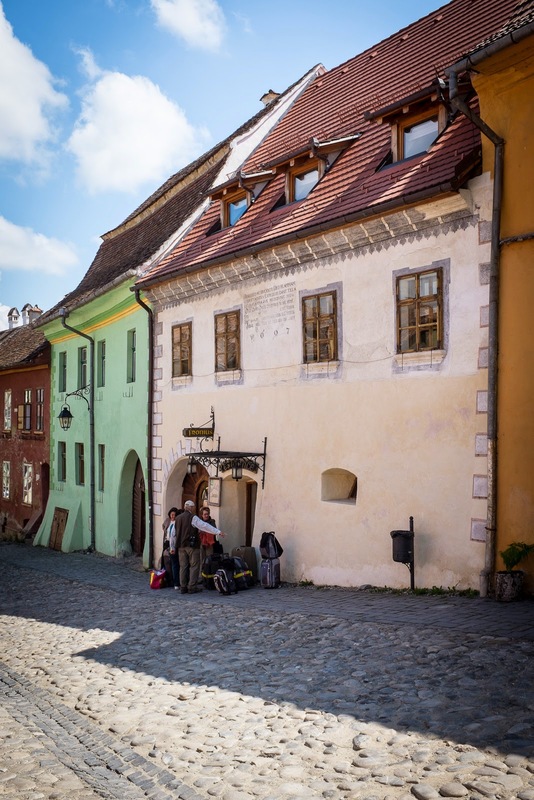 On our way to our next night's lodging in the town of Sibiu, we stopped at Biertan another 13th-century Transylvanian Saxon fortified city. 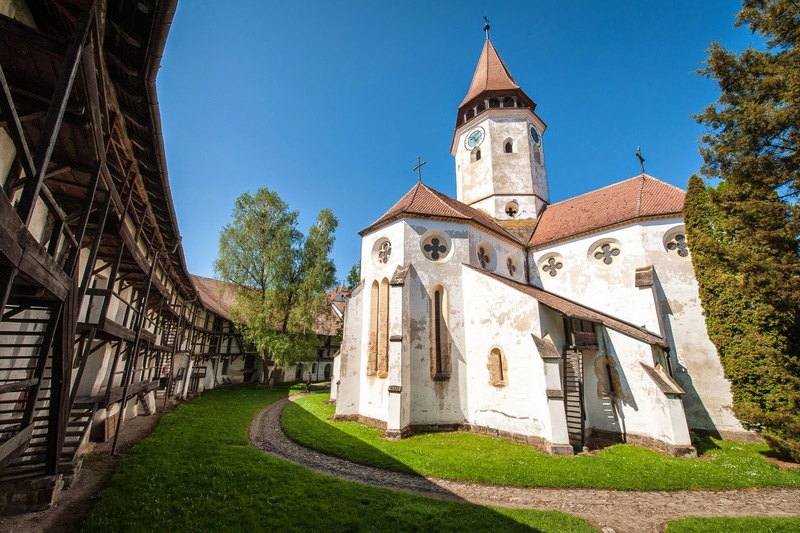 The fortified church was constructed in the 15th-16th centuries. The Gothic altarpiece triptych dates from the early 16th century. Outside the church a shaming stone juts out from the foundation. If a person needed to be "shamed" he/she was forced to stand upon this stone and the entire congregation would hear about the person's misdeeds. A small museum is within the fortifications. One interesting room is like a small apartment. 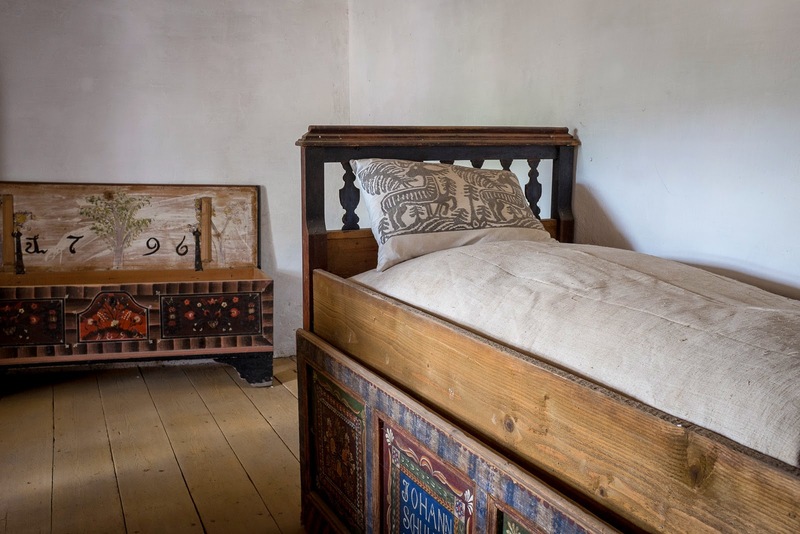 If a couple wanted to get a divorce, they were first forced to reside within this room for two weeks.You might notice that the only bed is a narrow single. Most couples who went through this 2-week sequester were able to resolve their differences and preserve the marriage. 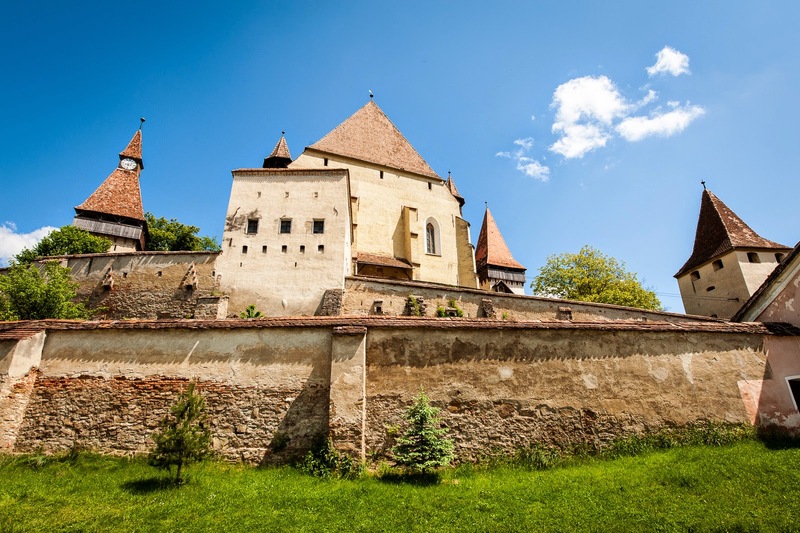 We spent our second night of our Transylvania Tour in Sibiu which is another fortified city; however, only a portion of the fortifications still exist. 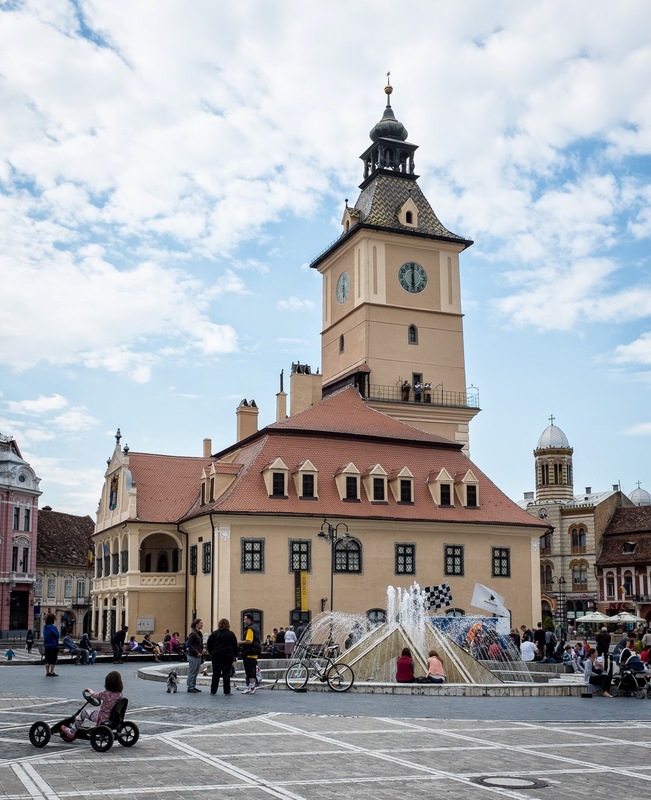 Sibiu was designated a European Capital of Culture for the year 2007. 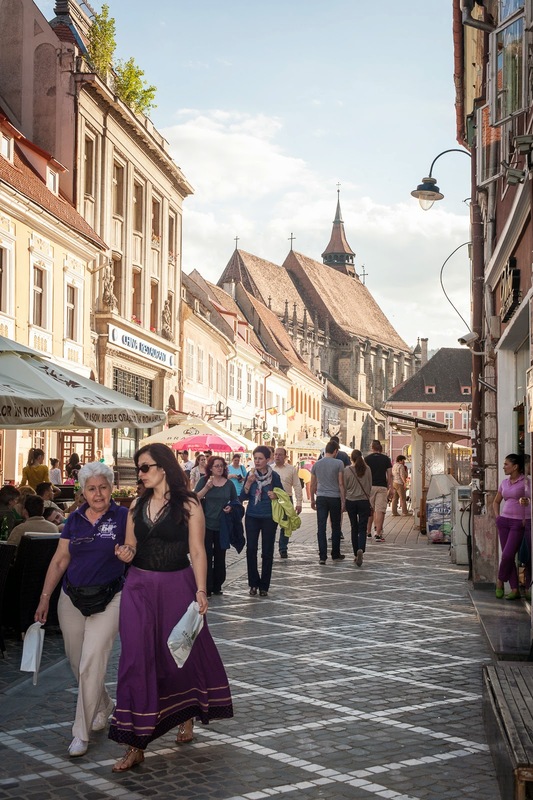 Forbes magazine ranked the old city of Sibiu as "Europe's 8th most idyllic place to live." 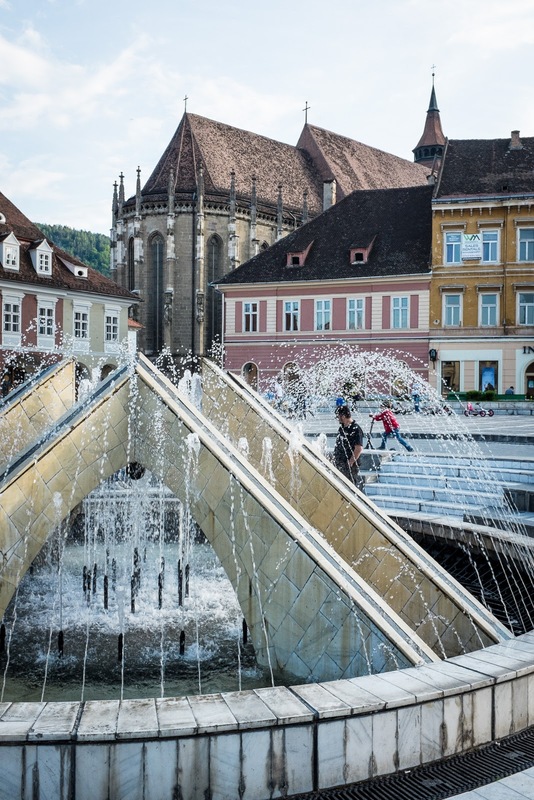 We did find it idyllic, so later in this vacation we returned to Sibiu on our way back to Bucharest. 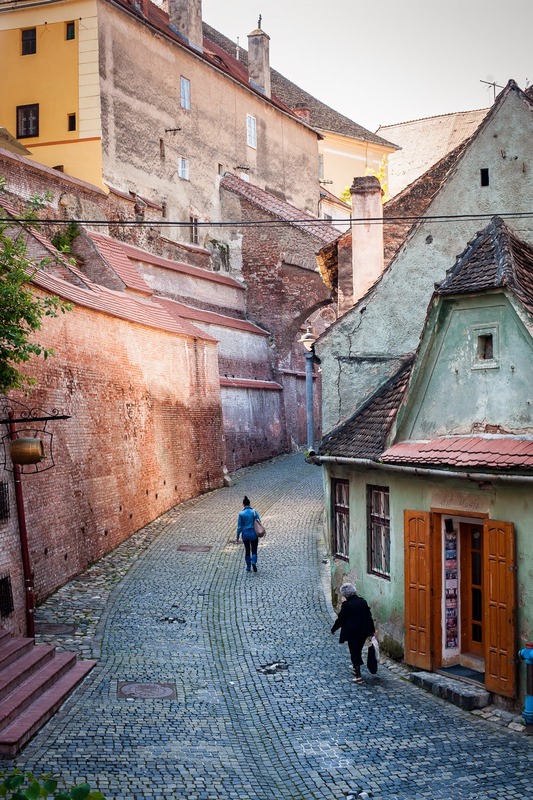 The next morning we had a short walk around Sibiu. Cecilia (our guide) explained the term "journeyman." In medieval times when an apprentice was trying to learn a trade and become a journeyman craftsman, he would journey from village to village studying with various masters. 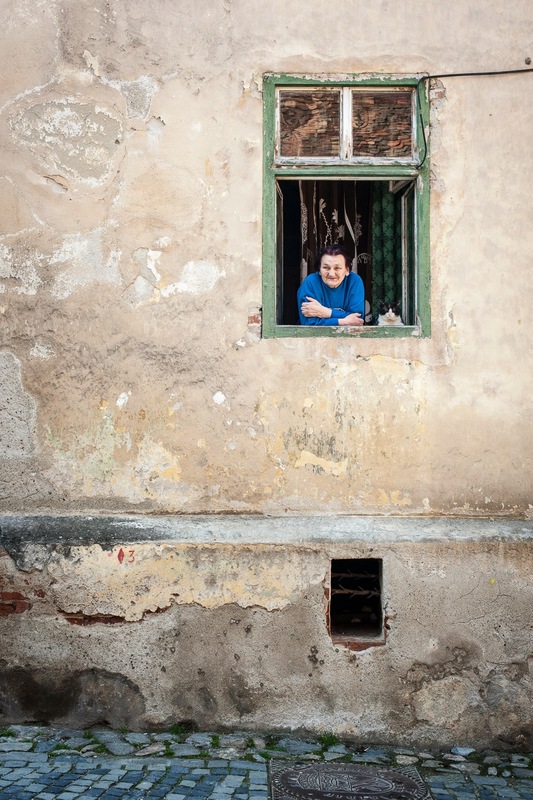 Each village including Sibiu had a small residence for these apprentices. Journeyman is the term that describes the traveling apprentice. 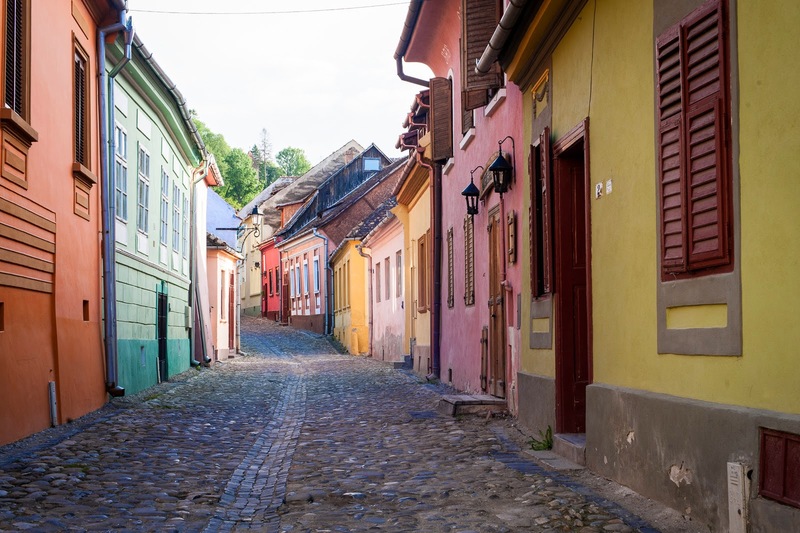 Leaving Sibiu, we headed toward Braşov. Along the way we had lunch at a Albota trout farm/tourist complex. The view of the still snow-covered mountains was spectacular. 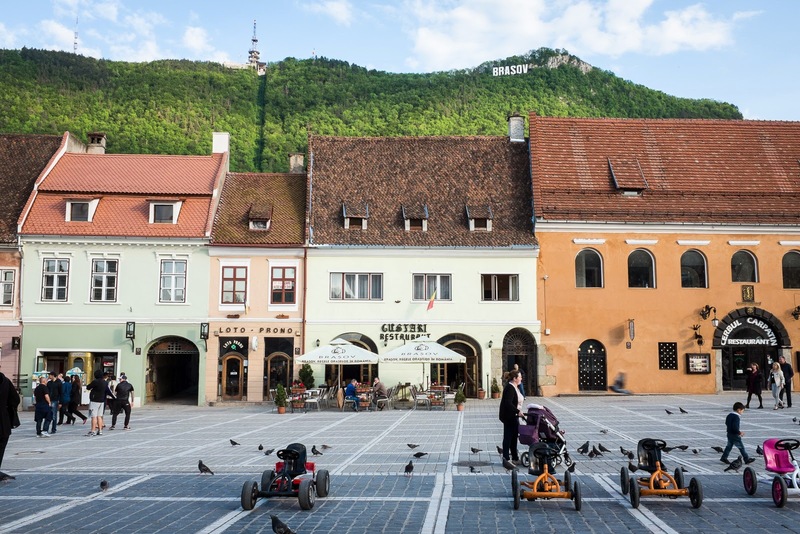 In Braşov we stayed in the old city. 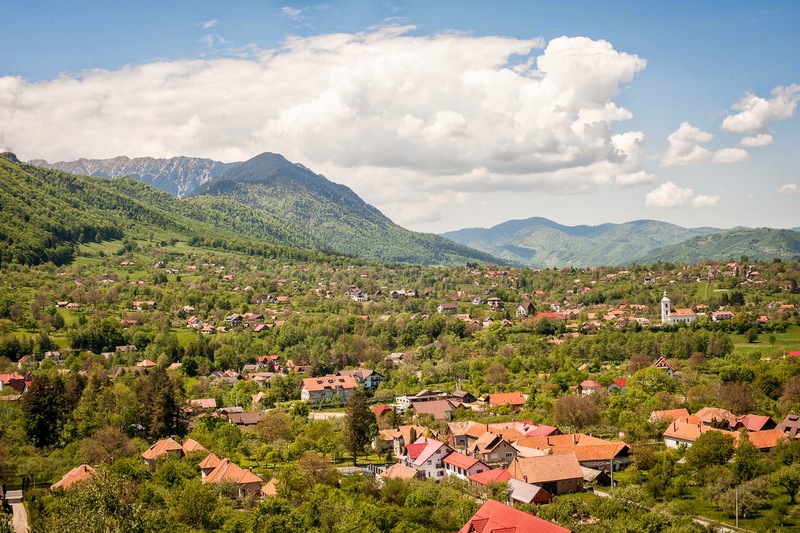 Braşov is yet another spectacular 13th-century Saxon city once fortified. The last day of our tour we were off to Prejmer Village and the home of another fortified church. While the church was built in the 13th century, the fortifications built by the Teutonic Knights were added in the 15th-16th centuries. Small rooms (about 800) line the inside of the walls. This is where the villagers holed up when the fortress was under siege. 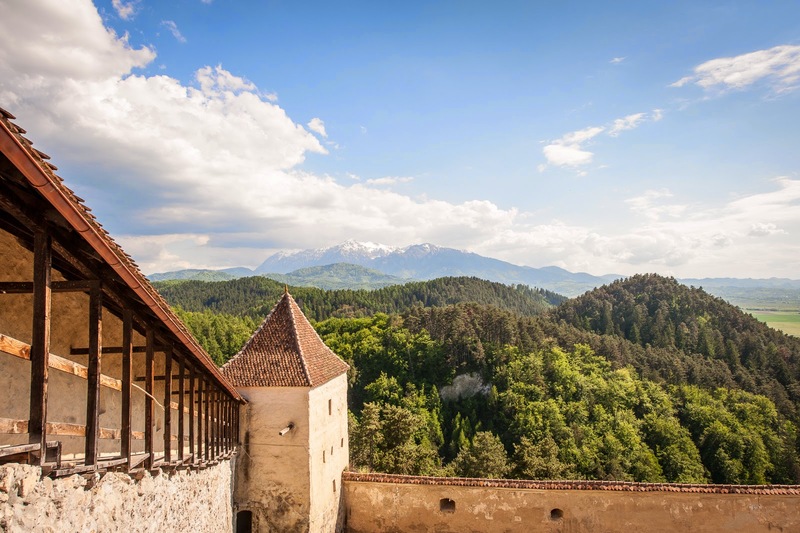 The finale was a visit to Bran Castle and lunch at a nearby restaurant. In Romanian Mythology, Strigoi are the evil souls of the dead. The word is derived from the Romanian "striga," which means "witch." The strigoi is born as any child, but they have a distinctive sign: a bonnet, a veil on the head or a nightgown. Such a child is given birth by a woman, who drank accursed water when she was pregnant, or when she went outside with nothing on her head. Then, Satan comes and puts a red bonnet on her head, just like the one he has. 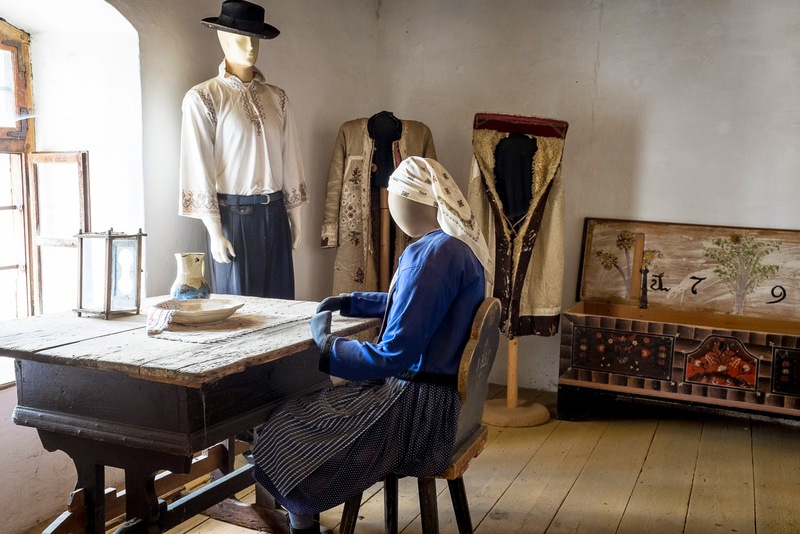 To prevent the child from turning into a strigoi, the bonnet must be removed off the child's head as soon as possible, or else the child takes the bonnet and swallows it undergoing the transformation. A strigoi is said to be bald on top of his head. He does not eat onions or garlic, fears frankincense, and during Saint Andrew's Night, he sleeps outside. His spinal cord is prolonged in a tail, covered in hair. 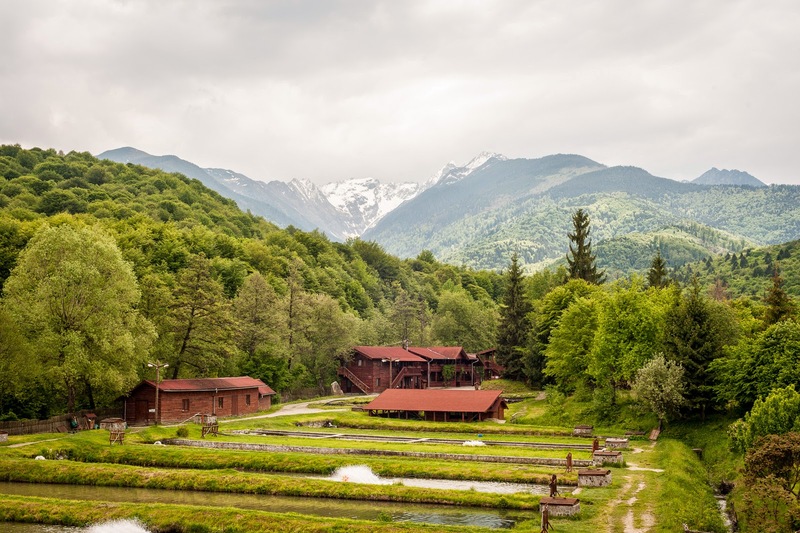 If there is drought in a village, it means that a strigoi exists there and hinders rain; if it rains and hail falls, then God is punishing the strigoi and if it rains while the sun is shining it is believed that a strigoi is getting married. Infants who are not baptized, the dead who did nothing but bad deeds while they were alive, those who die of sudden deaths (hung, shot, drowned), the sick who are not watched and walk over a cat, or the dead who have been walked over by cats, dogs, chickens, or any other birds risk turning into a strigoi. At full moon, they come out of their graves or leave their bodies and start dancing or doing all kinds of bad things. Their night is St. Andrew's Night [November 30]. The strigoi also steals cow milk, wheat, people's strength, hinders rain, brings about hail and death amount people and animals. On St. George's Day [April 23], young men sprinkle water on young woman so as not to be affected by the strigoi or turn into one. In order to kill them, the grave of the one supposed to be a strigoi needs to be found and priests hold a religious service (but they are often powerless) and a stake, made of oak or ash tree, is driven through its heart, and then the creature is nailed to the coffin to prevent it from getting out and harm[ing] people. For something more uplifting, the view at lunch at Vila Bran was stunning. 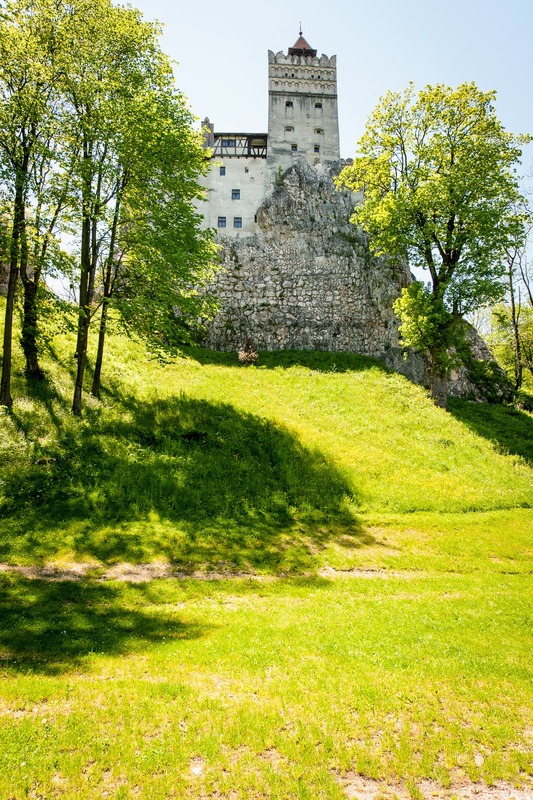 A final visit was to the 13th-century Râșnov Citadel. This is a rare peasant built fortification. 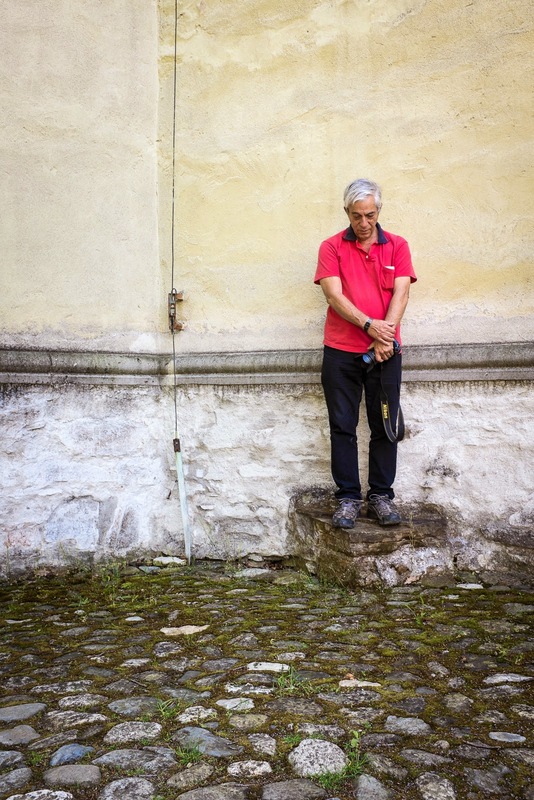 Dan and I stayed in Braşov one more night before picking up our rental car and heading out on our own.